This post was written by Leslie K. Overstreet, Curator of Natural-History Rare Books. Walt Kelly, famed field naturalist of the Okeefenokee Swamp, was born on Aug.25, 1913. He first revealed Okeefenokee’s extraordinary zoological community to the world in 1949. It included an alligator, turtle, owl, porcupine, skunk, three bats, even worms on occasion, and various others. Contrary to basic scientific protocols, Kelly tended to personalize, even anthropomorphize, his research subjects: He named them, for example, and published a series of illustrations of their behavior and interactions that ran in newspapers nationwide for decades. 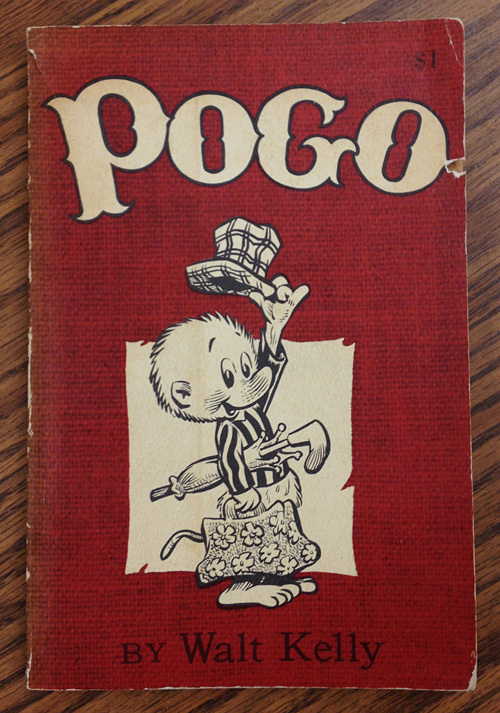 Cover of Pogo, by Walt Kelly. 1951. His most documented subject was Pogo Possum, pictured here. 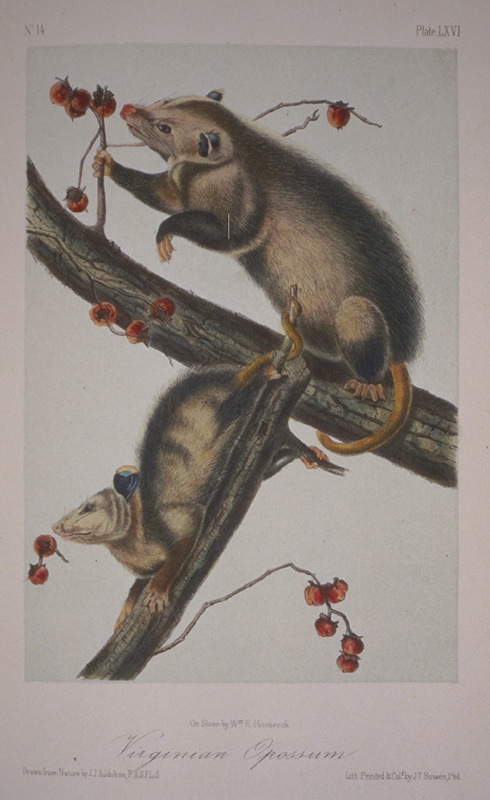 Pogo is a whole lot cuter than most other opossums, as is indicated by this illustration by an earlier naturalist/artist named John James Audubon (“Virginia opossum,” vol.2, plate LXVI, The quadrupeds of North America, New York, 1854-56). “Virginian Opussum” from The Quadrupeds of North America by John James Audubon. 1854-1855. Early editions of Audubon’s book are rather scarce and are available to researchers in the Smithsonian Libraries’ Joseph F. Cullman 3rd Library of Natural History. First editions of Kelly’s Pogo books are also fairly scarce, though not quite as expensive. “Pogo” materials are held in the held in the American Art and Portrait Gallery Library; its Caricatures and Cartoons Collection of over 600 titles focuses on American cartoons and contains items dating as far back as the Civil War. Previous Post Description of adorable new mammal in Smithsonian Research Online! Next Post Help transcribe a treasure!